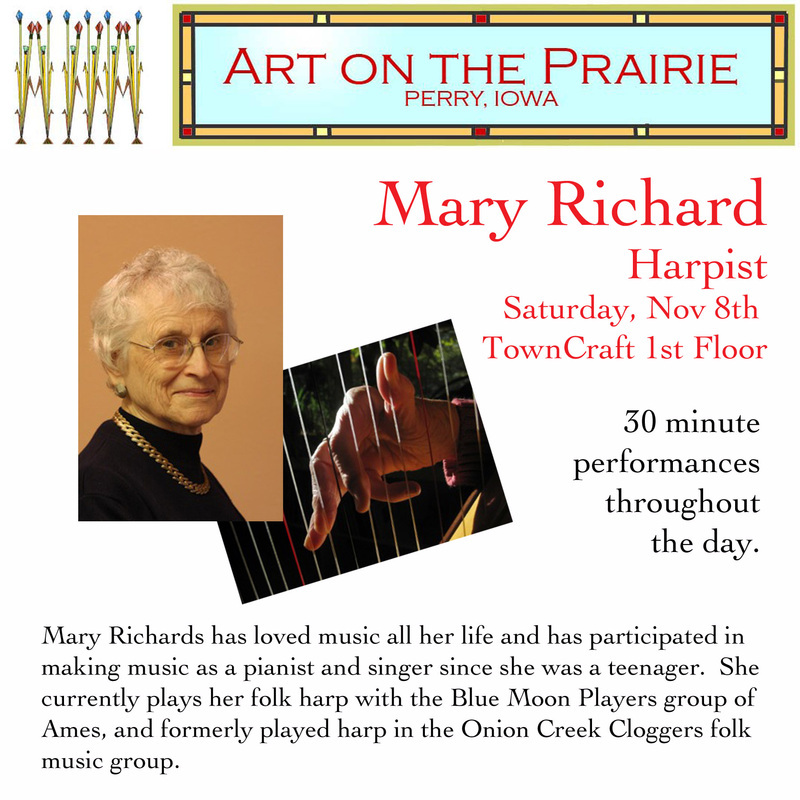 We are so excited to showcase such wonderful Iowa musicians at Art on the Prairie. 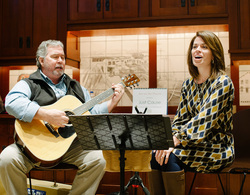 All the music is acoustic and unplugged, located in the Hotel Pattee, White Spaces, Town Craft - 2nd Floor west, Carnegie Library – Main Level, and the Security Bank Building. From the fertile grounds of Des Moines, Iowa comes Bella Soul. This collective of amazing talent is turning heads with unforgettable performances. Bella Soul has created a "kaleidoscopic" approach of emotion and sound that fuses rock, funk and blues with jam, jazz, and gospel. Having already headlined such high-profile events as Winefest Grand Testing, Des Moines Arts Festival, World Food Fest, and opening for such renowned musical icons as Eddie Money, Robert Cray, Johnny Rivers, Renee Austin, and Karl Denson's Tiny Universe, this band and its leading lady are one of this region's top surefire choices for creative diversity and musicianship! In 2010, The band (as the bluesified offshoot--Bella Soul Blues Revolution) has become a Top 5 blues band of Iowa per the Iowa Blues Challenge, and has also topped such events as WineJam UnCorked, WineStock, Jazz In July, Iowa Shakespeare Fest, and so much more. 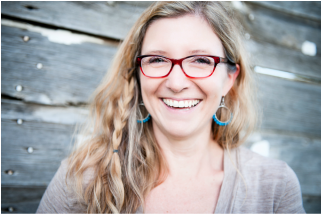 The Bella Soul story begins with TINA HAASE FINDLAY. In a city that has spawned talent as diverse as the Everly Brothers, Glenn Miller and Slipknot, Tina is an icon. In her 25 year career Tina has made her mark in the fields of jazz, blues, rock, soul, gospel, musical theatre, commercial jingles, composing, producing, and directing (see www.reverbnation.com/tinahaasefindlay for some of her solo highlights and rarities, and www.twiturm.com/profile/bellasoulmusic for more bonus bella soul material). Des Moines' popular Juice magazine recognizes Tina as a "legend"- you only need to experience Tina once to understand why. 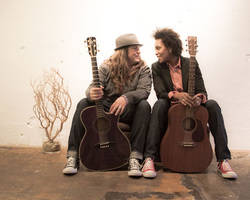 Guitarist BRANDON FINDLAY began as a left-handed devotee of Hendrix who was forced to learn right-handed chops due to a debilitating case of tendonitis. Since blossoming as a player, arranger, and songwriter during the early days of Lady Blue, "The Deacon" has become a creative leadership force and an expressive artist known for his sensitive yet powerful stylings. Also a lauded journalist and Des Moines City Council Live Music Commission member, Brandon's offstage work has included interviewing Warren Haynes, Derek Trucks, and Marc Ford; and reviewing events for BluesWax, Guitar World Online, and The Des Moines Music Coalition. 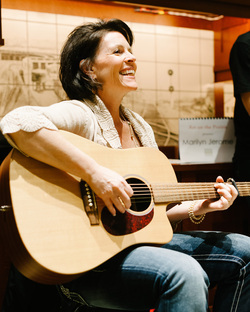 Deanna Mayer has played guitar most of her adult life, singing original lullabies to her children. She also performed at her church, and about 5 years ago she joined a few other friends (Jen was one of them) and they decided to form a band performing originals and folk rock and pop covers. They perform regularly around the Algona, Iowa area. Deanna lives in Algona with her husband Bill and enjoys visiting her four children and 4 grandkids. Jennifer Garman also lives in Algona, Iowa with husband Vic and her two children. 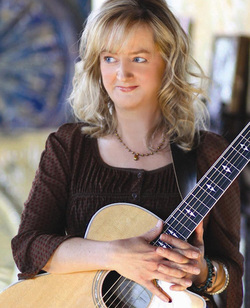 She has always sung at weddings and church functions but didn't take up guitar until 'middle age' at the urging of her brother in law, who also introduced her to Deanna. The rest is history! 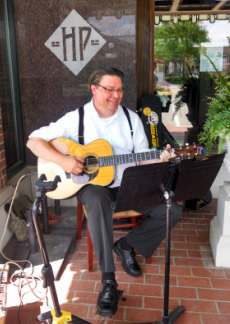 Tim Earp has been playing and listening to music since he can remember. 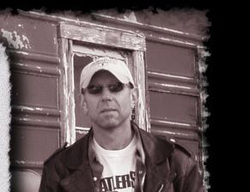 He is an avid music collector, married and lives in Des Moines. Tim loves music from the early 30's & 40's. This is his third year playing Art on the Prairie. 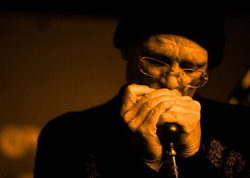 He can be found playing at the Hotel on occasion and private parties. His favorite color is blue. 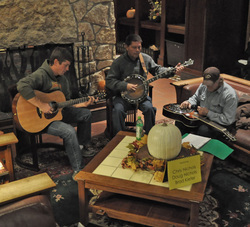 The result is a dynamic set of original songs in what Hartman calls “soul-folk” style. Taking turns behind both the guitar and the piano, Hartman’s compositions meld musical flavors of Janis Joplin, Miranda Lambert, Ingrid Michaelson, and Ani Difranco. Confessional lyrics and heart-opening melodies mingle with relatable storytelling to make every performance an intimate one and every audience a gathering of friends. 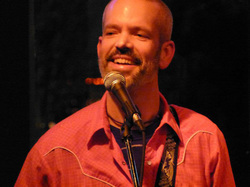 Hartman’s debut album, "the only way down," along with a companion book of essays about the songs, was released August 2014. Brian Joens, the mop-topped guitarist with The Rolling Stones, drowned under mysterious circumstances in 1969. The coroner's report stated it was "death by misadventure." 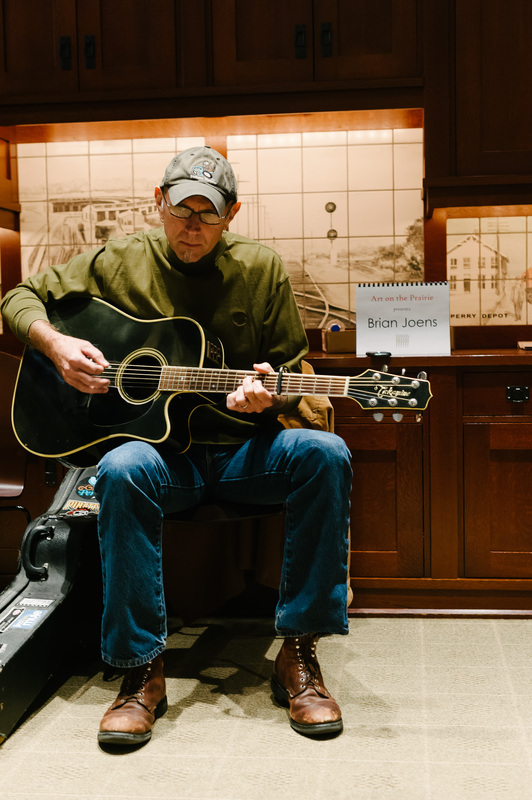 Brian Joens was born and raised in small town Manning, Iowa and is alive and well, living in Des Moines. He is a much better swimmer. 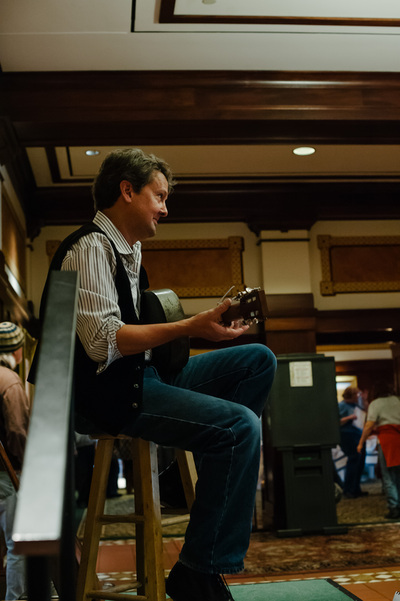 Over the last 18 years, he's toured the midwest and released 8 cds. 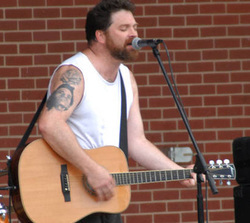 His latest, “ The Black and White Years,” was released in July 2011. 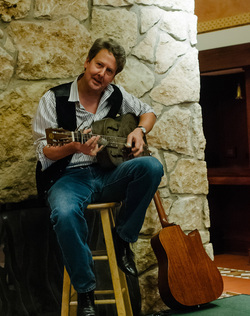 In addition to working numerous day jobs, Joens hosts Dirt Road Radio every Monday evening on KFMG in Des Moines and operates his own small business writing personal wedding songs, in addition to tending his garden and puttering around the yard. 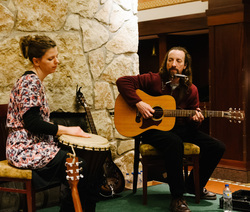 JUST CAUSE is the casual collaboration of Mia Hegarty-Roach (vocals) and Scott Buchanan,(guitar, harmonica, vocals), who perform traditional to contemporary song styles that feature acoustic guitar and vocal harmony. 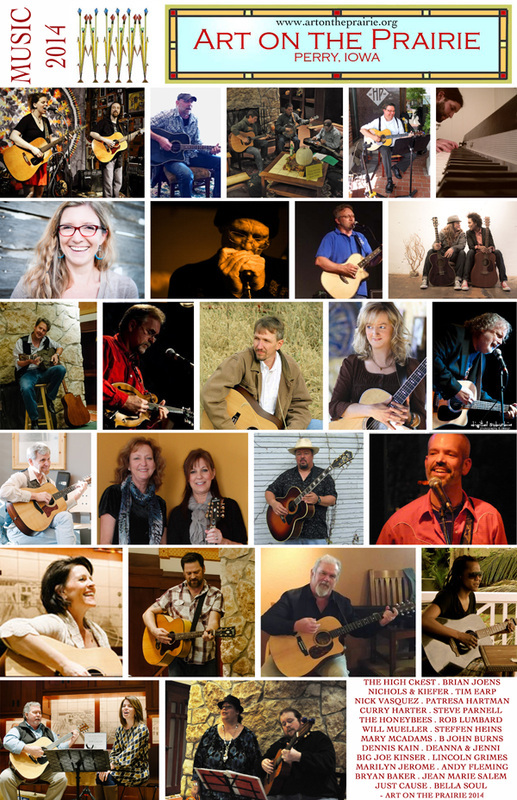 JUST CAUSE performs songs by John Prine, Bob Dylan, Steve Goodman, Richard Thompson, Doc Watson, Merle Travis, The Carter Family, The Band, The Indigo Girls, Eva Cassidy, Allison Krauss and many others. 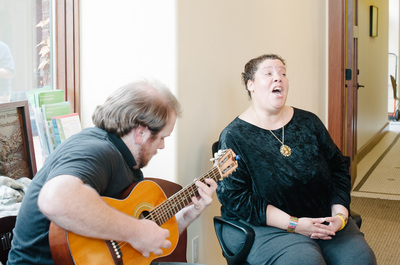 Mia hails from the Loess Hills and can't remember when singing wasn't a part of living. Grade school operettas and church programs led to leads in high school chorus and swing choir. Did the usual rounds at weddings, eschewing "The Wedding Song" (but then caving to pressure and singing "Wind Beneath My Wings”). Was privileged to front for her dad's rock band, "The Myddleclasse." Married, two daughters. Day Job She’s Keeping: Ph.D, Clinical Psychology. Scott’s musical footings go back to church choir and the first rock band he and his pals formed in eighth grade: The Griefs. From dorm rooms and street corners, he picked up songs and styles from friends and folks just passing through. Would not care to live in a world without music. Married, two daughters. Day Job He’s Keeping: Attorney at Law. 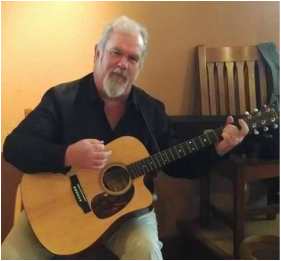 Will Mueller is a singer songwriter who is continuing on a musical tradition that has been in his family for over five generations. Will is a multi-instrumentalist who has literally performed from the muddy banks of the Mississippi to the peaks of the Colorado Rockies. 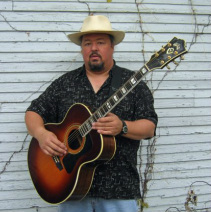 He has performed twice at the Iowa Governor’s mansion, as well as the Iowa State Fair, various county fairs and festivals, live radio shows, house concerts, and numerous clubs and private functions. Using humor and “good ol’ Iowa common sense” Will mixes his writing and performance skills to meet the needs of each event. 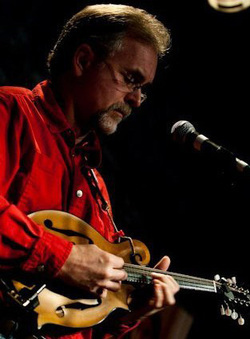 Bill has performed solo, as part of the Homegrown Tomatoes duo (with Steffen Heins) and as a “hired gun” with various acts in need of someone on fiddle, mandolin, or banjo. For almost two decades he has been on the roster of the Iowa Arts Council. Will’s instruments include: Guitar, Mandolin, Fiddle, Harmonica, Banjo CD Credits: All I Can Say -solo Picked and Preserved -Homegrown Tomatoes Ripe for the Pickin’ -Homegrown Tomatoes. In addition to owning BRG Music, Steve teaches guitar and is also the Compliance Officer at Abilities Unlimited. 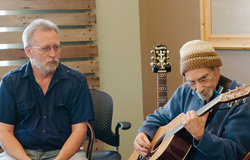 Steve has been playing guitar since 1968 and writing music that entire time. 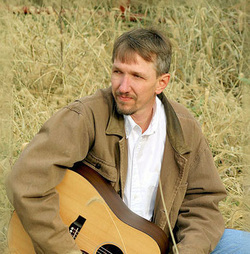 He also helps to lead the worship team at Crossroads Church in Perry. Steve and his wife Liz are foster / adoptive parents and are currently working on kid #37. They are down to five kids in the home this week .... T.R.O.G. 's music this weekend is all original, family friendly and inspirational in nature. 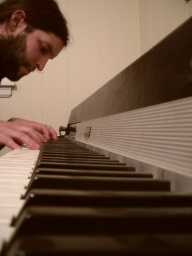 Nick Vasquez is a musician, songwriter/composer from Moline, Il. The Des Moines native performs acoustic folk/blues on guitar, as well as other various styles on piano with multiple groups around the Quad Cities. He studied music at St. Ambrose University, where he received a B.A. in Music with a focus in composition and theory. While working primarily with winners of the Iowa Blues Challenge, The Candymakers, he can be found in multiple venues around the Quad Cities.